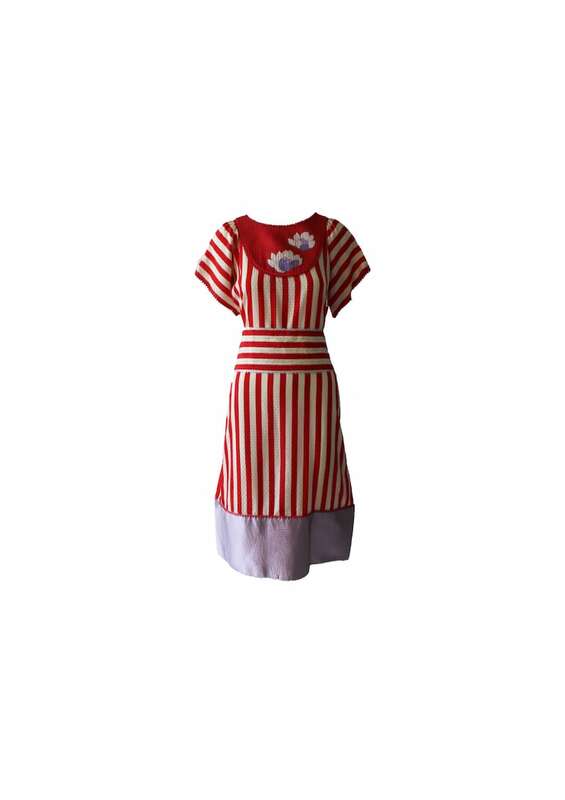 Vintage short sleeve red and white striped silk dress with lavender trim. 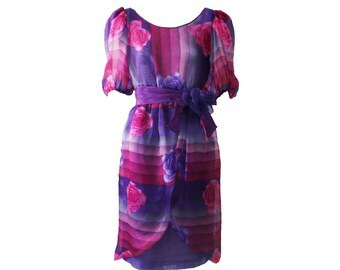 The dress features a lilac flower on the front and a wide quilted satin self belt. It features a unique tiny red tassels and picoted silver cord trim throughout. You can wear it so many different ways! 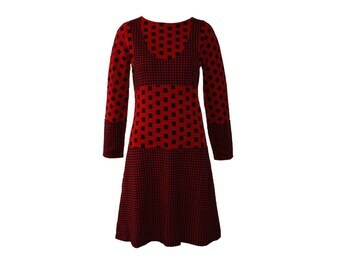 The colorful novelty print dress captures the essence of style: elegant, comfortable and practical. Geoffrey Beene, studied design in France, and then moved to New York where he began his career with Sam Winston on 7th Avenue. 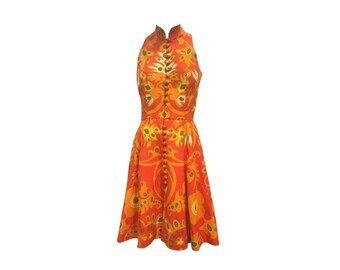 In 1950 he became a design assistant at Harmay, where he worked for eight years. 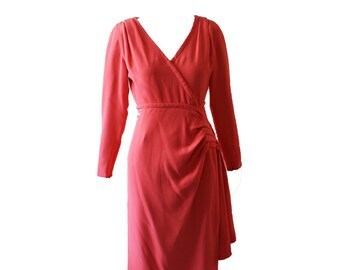 Beene then moved on to Teal Traina as designer. He opened Geoffrey Beene, Inc in 1963 in New York. He won several Coty Fashion Awards throughout his design career. In 1968, Beene designed Lynda Bird Johnson’s wedding dress. Beene always designed relaxed, wearable clothing in the best fabrics of their type with a conscientious eye toward craftsmanship and detail.